For the first time in more than a century, golf has been added to the itinerary of events at the Olympic Games. The last time the sport was contested was way back in 1904 at St Louis, so you would be forgiven for thinking that today’s crop of players will be itching to represent their countries for sport’s ultimate prize. Unfortunately, you’d be wrong. Six of the world’s top ten players – Jason Day, Dustin Johnson, Jordan Spieth, Rory McIlroy, Adam Scott and Branden Grace – have all declined the invitation to line up in Rio, citing reasons as varying as concerns about the Zika virus to the fear of ‘burnout’. The tournament has been left rather devalued as a consequence. Nevertheless, there is plenty for punters to sink their teeth into – as there is every week on the PGA Tour circuit, with a quality field in tow that features countless potential podium placers. Henrik Stenson, the recent Open Championship winner, will head the betting market at 19/4 with NetBet and for good reason; the popular Swede is playing the very best golf of his life right now. Others towards the head of the market include a number of former major champions, including Justin Rose, Bubba Watson and Martin Kaymer. Even with the withdrawals, the competition is shaping up to be a hotly contested affair. The tournament will be played from August 11th-14th at the newly constructed (and imaginatively named) Olympic Golf Course, which has been built in the heart of the Reserva de Marapendi by renowned architect and designer Gil Hanse. The course itself is a 7,128 yard Par 71 stretch that features four Par 5s, which will surely play into the hands of the longer hitters from the tee. Expect lush landscapes, tropical hazards and plenty of water features. If the players thought they were in Rio for a jolly good time, they might need to think again: this course will take some taming. Hanse is responsible for a number of golf’s other leading courses, including the Blue Monster renovation at Trump National Doral in 2013 and Inverness’ very own Castle Stuart. He is on record for saying that he wanted the Olympic course to turn out like those stretches "very playable yet able to host a major." We know that designers like to stick to their guns when planning their work, so expect certain similarities with Doral and Castle Stuart in Rio. The former hosts the WGC Cadillac Championship each year on the PGA Tour, so players can expect a similar kind of test with Hanse at the helm. 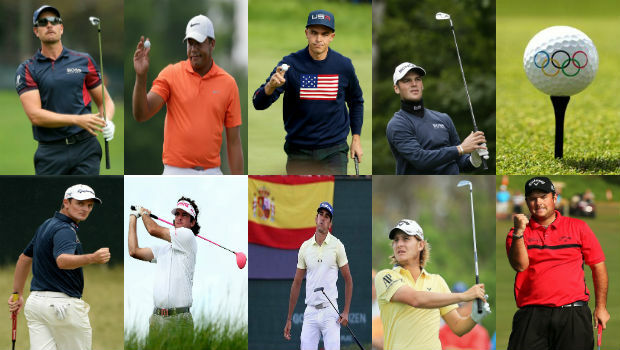 Strong performers in past WGC events include: Bubba Watson (2nd in 2016, 3rd in 2015), Henrik Stenson (4th in 2015), Rickie Fowler (8th in 2016, 12th in 2015), and Rafa Cabrera-Bello (11th in 2016); food for thought for punters. Watson's success at other Gil Hanse desgined courses is worth noting when considering this completely new venue. "Just thinking about having a gold medal means a lot. I think the biggest thing is I get to represent my country again. I get to wear the red, white and blue. Any time I get to wear those colours, it’s a huge day." The Olympic golf tournament will be a traditional 72-hole strokeplay affair, rather than a team-based matchplay format. If the latter was the case, surely the USA team would be hot favourites with the bookmakers. Even so, it is the American duo of Watson and Reed who catch the eye here. Bubba will have a weekend of tune-up action at the Travelers Championship before heading out to Brazil and, as we have seen, he tends to flourish on Gil Hanse designs. At 13/1 with NetBet, he is well worth adding to your portfolio. Then there's Reed (16/1 with NetBet), the prodigiously talented youngster who is yet to convert his undoubted ability to silverware. But anybody who witnessed his performances in the Ryder Cup of 2014 will know just how much representing his country means to him. Finally, how about an in-form South American pair who will be able to handle the heat in Rio in August? Emiliano Grillo, the Argentine, led the PGA Championship after 36 holes a week ago and has four top-20 returns to his name in his last four starts. He's being offered at 25/1 with NetBet. There's also the Venezuelan long shot, Jhonattan Vegas (offered at 50/1), who backed up his win at the Canadian Open a fortnight ago with a very respectable 22nd in the PGA Championship. For all the latest golf odds at Rio, visit NetBet today!